Prague is the capital of the Czech Republic and the former capital of Bohemia. With its beautiful medieval architecture and the location on the banks of Vltava River, it doesn’t come as a surprise that the historic city center was inscribed on the UNESCO World Heritage List in 1992. 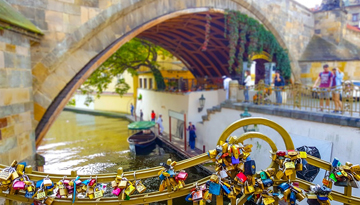 Book your romantic getaway to Europe’s East now and get cheapest flight tickets to Prague from UK– you definitely won’t regret it! This charming capital city was founded in the 9th century and quickly received its important status as the seat of the Bohemian kings. However, much of its architecture is from the 14th century and, thus, in Gothic style. Some of Prague’s most famous buildings can be seen in the Old Town, around the Old Town Square. Start there and marvel at the Old Town Hall, the famous Astronomical Clock, the Municipal House, the Kostel Pannie Marie Pred Tynem and the Carolinum to get a top insight into some of the most stunning medieval architecture this world has to offer. From there, you can walk to the famous Charles Bridge and, by crossing it, get directly to the beautiful Lesser Quarter (Mala Strana) on the other bank of the river. Go on up north to get to the Castle District, Hradcany, with the amazing Prague Castle, the magnificent, Gothic St. Vitus Cathedral and the Romanesque St. George’s Basilica. To round off your trip in style, take the “Eat with Locals” foodie tour, which received excellent ratings throughout the internet. Not only do you get to taste traditional Czech food, the tour guides will also explain a lot about the city’s background and the history of Czech cuisine. Also, in case you’ve been worrying about getting around in Prague, here’s some good news: the city is known to be one of the best walkable cities in Europe! You can literally get to most of the famous sightseeing spots by foot. Also, there is an extensive tram and metro network. Please do note that the buses don’t enter the historic districts of the city, which means that you need to change to a metro, tram or taxi if you’re coming from outside the city. The best time to visit Prague is from early May to late September. However, if you want to avoid the crowds of tourists, you should stick to the spring and fall seasons. So, why don't you compare flight tickets to Prague and book the one which is not heavy on your pocket? You surely will enjoy your city break in one of the most beautiful cities in the world. Flights to Prague with Lufthansa Airlines in Economy Light fares from £149 return including taxes. 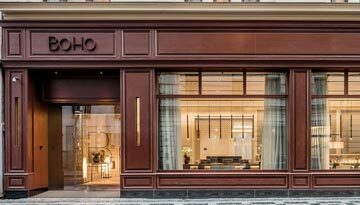 BoHo Prague Hotel offers 4 star 1 night room stay at £123 & save up to 35%. 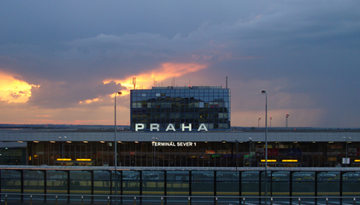 Fly from Heathrow - Prague & Stay for 7 nights with 3 star accommodation. Bed & Breakfast.